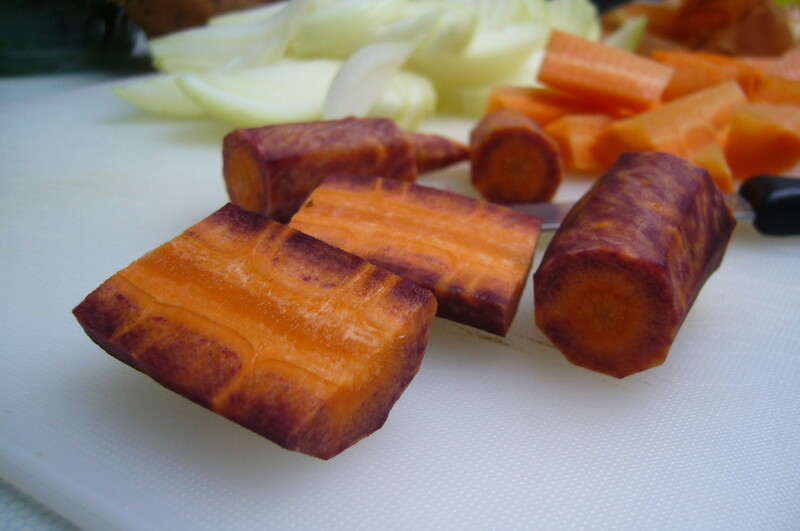 I just had to blog about these beautiful vegetables I’ve been finding at the beginning of this colourful autumn. There’s not much to say, but I think they speak for themselves. 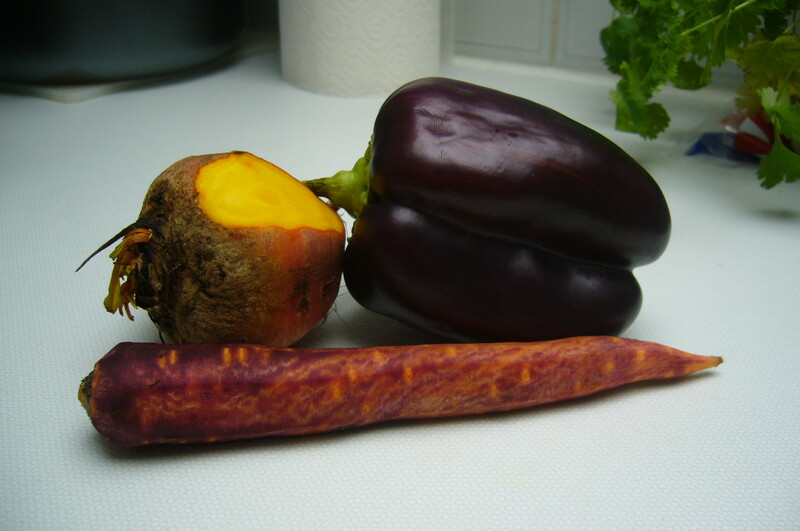 Their colours are reversed – here, the normally purple beetroot is a bright orangey-yellow, and the normally orange carrot and pepper are purple. My eyes are so confused. Nature is amazing! 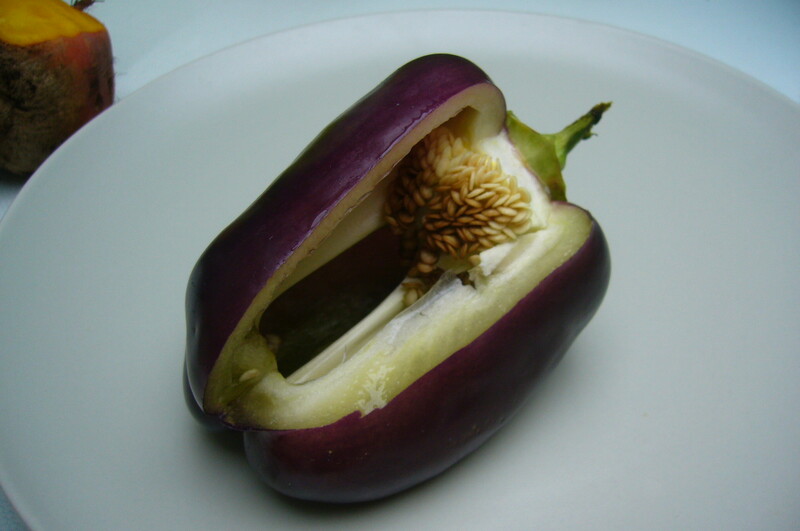 Doesn’t this pepper look like it had mixed parentage – half pepper, half aubergine…? !